Our volunteers will begin work Wednesday, reaching out to hurting families in Marshall County. 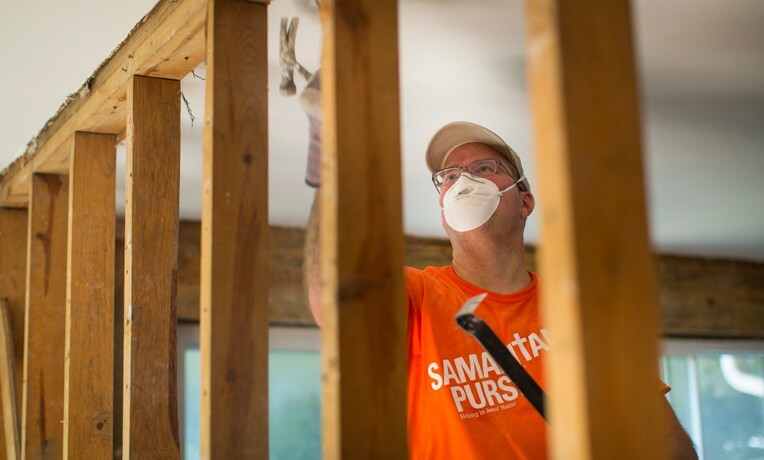 Samaritan’s Purse has deployed to West Virginia to assist homeowners devastated by a rare nor’easter-type storm that dumped torrential rains, caused significant flash flooding, and left a swath of destruction in its wake. One of our disaster relief units, stocked with supplies and equipment, is onsite, serving as our base of operations. Moundsville Baptist Church—1911 4th Street in Moundsville—will host our teams. Volunteer are now hard at work, performing the arduous work of mudding out homes affected by the late July storm. They are cleaning up properties, carrying out waterlogged belongings to the curb, tearing out damaged floors and walls, and spraying for mold. Governor Jim Justice declared a state of emergency for six counties and mobilized the West Virginia National Guard to help. According to news reports, hundreds of homes were damaged by high waters. SIGN UP TO VOLUNTEER Especially ravaged was Marshall County and the Northern Panhandle, the state’s northernmost extension bordered by Ohio and Pennsylvania. We will focus a lot of our attention on serving and ministering to families in McMechen, a town of about 2,000 people along the Ohio River. We’ll fan out from there into other hard-hit areas, including the Wheeling area in Ohio County. Crisis-trained Billy Graham Rapid Response Team chaplains will be deploying alongside our teams and provide spiritual and emotional care. Samaritan’s Purse deployed twice to West Virginia in 2016 when historic flooding claimed 26 lives. We sent teams to Greenbrier and Kanawha counties. Between the two sites, nearly 1,900 volunteers helped 338 families in Jesus’ Name. Praise God that 72 people made decisions to receive Jesus Christ as Savior. Please pray for affected families, as well as for our volunteers and their ministry to those in need.